Being in debt can be stressful. It can be hard to decide what to pay off first. Certain habits will make it harder for a person to pay off their debt. Make good choices! Don’t make these mistakes when you’re in debt. 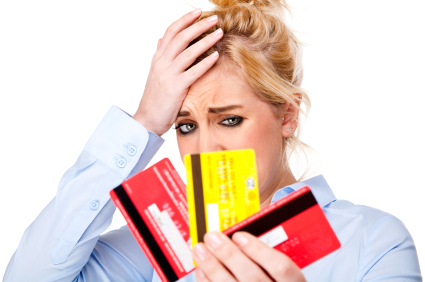 People who are in debt often feel overwhelmed by the amount of money they owe. It cannot be quickly and easily paid off, and this makes some people give up. They stop trying to pay off their debt and keep spending. This is a terrible idea because it makes the debt grow bigger. Instead, the best thing to do is to make a plan about how to pay off the debt. Get some help with this if necessary. Credit cards require people to pay at least the minimum balance every month. Failure to do that can result in penalty charges that will add to your debt. So, some people who are in debt pay the minimum and figure that’s good enough. Unfortunately, the minimum is not enough. Paying the minimum is going to make the credit card company happy – but it won’t actually reduce your debt. The way to chip away at credit card debt is to pay more than the minimum. It can be tempting to open up a new credit card account that has no debt on it. People who do this think it will help them to stop using the credit cards that have a lot of debt attached to them. What actually happens is the person now has one more minimum balance to pay every month. Instead of opening new credit cards, it is better to try and control your spending. Choose a card to keep active, and put the rest away. Some people literally freeze their credit cards in their freezer. Be extra cautious about how much debt you add to the usable credit card. Remember to keep paying more than the minimum on all debts. Often, a family member or close friend will offer to help a loved one to pay down their debt. Or, a person who is in debt might ask a loved one for a loan. This is not a long-term solution. It creates a brand new debt to pay off. Eventually, the friend or relative will expect to get the money back. People tend to get grumpy when they are not paid back the money they loaned in a timely fashion. This situation can put a huge strain on a relationship. 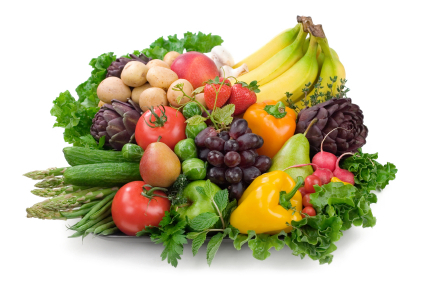 Fresh fruits and vegetables can be healthy and delicious. Sometimes, they can also be expensive. It can be really discouraging to spend money on healthy foods and to have them rot before you can eat them. Here are some tips on saving fresh produce. Potatoes: Store potatoes in a cool, dark, dry place. A temperature of around 38 degrees Fahrenheit or 3 degrees Celsius is the ideal way to keep your potatoes cool and out of direct light until you are ready to cook them. Salad Greens: Store them in a plastic storage container lined with paper towels. Dump the lettuce leaves out of the plastic bag they came in and into the container. Don’t jam-pack the container. Put another paper towel over the lettuce leaves and tightly close the container. Put it in the refrigerator. Bell Peppers: Store bell peppers in a plastic bag and put them in the vegetable crisper in your refrigerator. They will last for approximately one to two weeks. Onions: Store onions in a cool, dry, well ventilated area. Maintain a storage temperature of 45 degrees – 55 degrees Fahrenheit. Do not store onions with potatoes or other produce items that release moisture. Keep onions out of direct sunlight. Tomatoes: Store perfectly ripe tomatoes on the counter away from sunlight. Keep them at room temperature. Put them in a single layer without touching each other, and stem side up. Strawberries: Keep fresh strawberries cold and dry so they won’t mold. Arrange the berries (without washing or removing the stems) on a paper towel-lined tray and cover them with plastic wrap. Put them in your refrigerator. Bananas: Take the bananas out of the plastic bag as soon as you get home. Bananas stored at room temperature ripen slower and more evenly. Do not expose the bananas to direct heat or sunlight. Place them away from the stove, heater and window. Do not keep them in a bunch – separate the bananas. McDonalds has introduced the limited edition MacCoin to celebrate the 50th anniversary of the Big Mac. 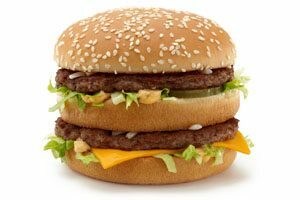 Each MacCoin can be exchanged for one Big Mac at McDonald’s stores in 50 countries. McDonald’s customers in the United States will receive a MacCoin with the purchase of a Big Mac at 14,000 participating restaurants across the United States, while supplies last. A MacCoin can be redeemed for a free Big Mac at participating McDonald’s restaurants in the United States and more than 50 participating countries. In other words, the MacCoin functions like a coupon. Buy a Big Mac – get a free MacCoin. Take that MacCoin to a participating McDonald’s, and get a Big Mac for free. McDonald’s says the MacCoin is the first fully food-backed global currency. More than 6.2 million MacCoins will be distributed globally in more than 50 countries while supplies last. In addition to being a fun way to get a free Big Mac, MacCoins are collectible items. These commemorative coins feature five unique designs, each representing a decade of the Big Mac. Each MacCoin design pulls in elements from that time in history, nodding to art, music and pop culture, while the front-side of the MacCoin celebrates the 50th anniversary of the Big Mac. The MacCoin has no cash value. You can’t trade them in at a bank for other currency, or use them to buy anything other than a Big Mac. The MacCoins will be redeemable at participating McDonald’s restaurants through 2018. National Garage Sale Day takes place on the second Saturday in August. The exact date may vary. That weekend is the best time to shop local garage sales (and yard sales). There are some things you should do if you want to save big on National Garage Sale Day. The first one is to take the time to find out where the garage sales will be located. In some places, neighbors organize so that most of the homes in entire blocks will hold garage sales on that Saturday. You can also discover where local garage sales are at by looking in the newspaper. Next, you need to make a plan. 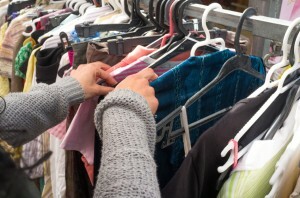 Where do you want to start shopping garage sales? In some cases, it makes sense to plan your route rather than randomly explore them. You might need to get up earlier than typical if you will be driving to the garage sales in other towns. Bring a friend or family member to shop with, for more fun. Don’t forget to bring reusable bags with you! Not every garage sale will give away plastic bags. It would be a good idea to have a plan about where to park your car. All of this can save you some time and trouble. Go in with a list. What do you need? Garage sales can be a great place to buy used, but still in good condition, Back to School clothes for your kids. Sometimes, parents can find baby items like highchairs, bouncers, and baby gates. Or, maybe your home could really use a better coffee table. Make a list of what you need so you won’t forget. Of course, you will likely find some additional items that you want. That’s ok. Just make sure that you budget for them. People who hold garage sales will only take cash. It would be a good idea to stop by an ATM before hitting the garage sales. If you have time, it would be nice if you could find a way to break a $20 into smaller bills. Got a lot of stuff that is in good condition that you no longer need? You might consider holding your own garage sale on National Garage Sale Day. Organize with your neighbors for best results. 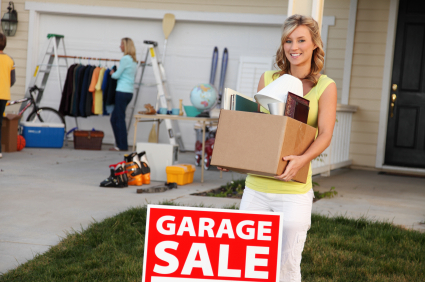 Take the time to organize your items before the day of the garage sale. There’s a chance you could make some money! One simple way to save money on the things you need to buy is to purchase them when they go on sale. You can get what you need without having to pay full price. Here are some of the best things to buy in August. Stores that sell clothing tend to have summer clearance sales in August. They need to move out the shorts, sundresses, and tank tops and use that space for the incoming Back to School clothing. If you live in a state that is likely to have warm weather through September, now is the best time to take advantage of the summer clearance sales. If you live in a state that says warm enough for you to hit the beach or splash around in your swimming pool all year round, you may need some extra swimsuits. Buy them now and stock up while they are at the lowest price of the year. Does your state experience very cold winter weather? You might need some extra swimwear if you plan on traveling to places where the weather is warm during the upcoming holiday season. Do your relatives live where the weather stays warm? Are you going on a holiday cruise? Plan ahead and buy extra swimwear. 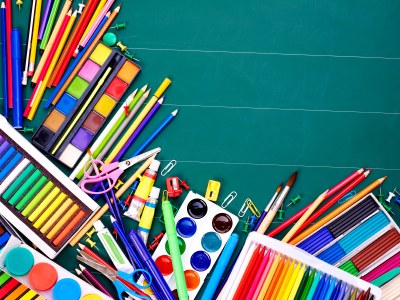 Your kids are going to need some new school supplies for the upcoming school year. 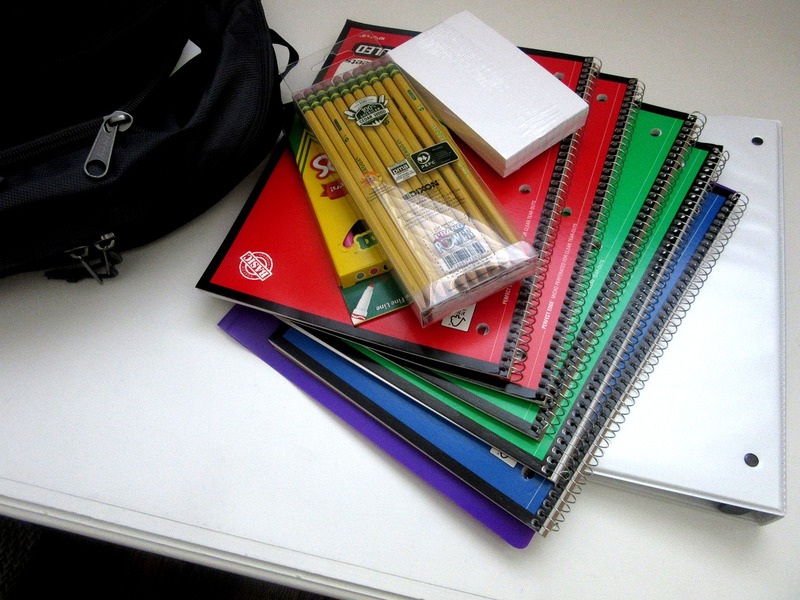 Before you shop, take the time to compare the back to school supplies sales at several stores. Figure out which one has the best deals, and do your shopping there. Some parents like to stock up on extra school supplies while the Back to School sales are happening. Doing so can save you money later, when your kids need more paper, pencils, or other supplies. Buy now – and avoid paying full price for the same stuff later. Labor Day is often the last weekend of August, but sometimes happens on the first week of September. There will be plenty of Labor Day Sales happening not only on that weekend, but also during the week before. Nearly every store will have their own Labor Day Sale. 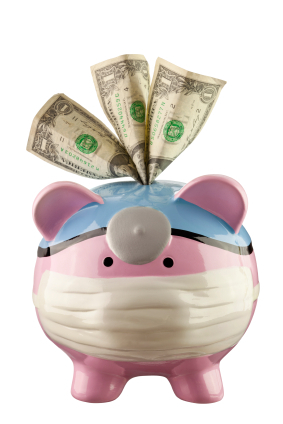 Have you been planning to make a somewhat expensive purchase? Consider waiting until the thing you want goes on sale at the end of August. Lyft is an on-demand ride sharing service that functions similarly to Uber. Put their app on your phone, and use it to contact a Lyft driver when you need a lift. Short trips can be very inexpensive. Lyft is currently offering Chicagoans $550 if they get rid of their cars. This unique program could spread to other cities. It is called the #DitchWithLyft Challenge. To do it, you must break up with your car for a month. Lyft is giving 100 people who live in Chicago credits for Lyft, CTA Monthly Passes, Divvy Monthly Passes, and ZipCar. The main purpose of the challenge is to reduce congestion on Chicago’s streets. The Verge has more details about how this works. The first thing to know is that Lyft is not handing people money. Instead, they are making it possible for people to use alternative forms of transportation for free. A total of 100 Chicagoans who sign up will receive $300 in Lyft shared ride credit (for use in carpool trips only), $45 for a monthly Divvy bike-share pass, $100 in ZipCar credit, and $105 for “L” train and bus service. Those who are interested in participating will need to prove to Lyft that they own a vehicle in order to qualify. Those who qualify will be on an “honor system” to make sure they keep up their end of the bargain (and do not drive their car for 30 days). Participants are encouraged to post on social media about their experience. Lyft will conduct before and after challenge interviews to gauge reactions. Lyft is considering launching a #DitchYourCar Challenge in Portland later in 2018. That program will ask people who live in Portland, and who own cars, to give up their car for an entire year, rather than just for one month. In many states, the brand new school year begins in August or September. Parents must spend money on school supplies, new clothing, and gym shoes for each of their school-aged children. You can save money if you shop during your state’s Sales Tax Holiday. * Tax free items range from clothing, accessories, and shoes, to school supplies, book bags and computers. Shoppers will also find tax free items for the home and dorm room. Disclosure: This article contains affiliate links. Clicking on an affiliate link can generate revenue for the website owner. The FTC requires blogs that contain affiliate links to clearly and conspicuously disclose that there are affiliate links in the article. Everyone wants to save time and money when they shop. This can be accomplished by collecting coupons, which can be tedious. Some stores have apps that give users special deals and offers. The biggest limitation of these apps is they can only be used at one store. 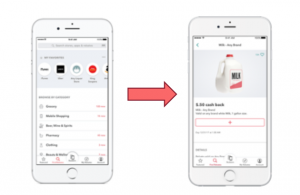 Ibotta is a cash back rewards app that gives consumers a better way to save time and money when they shop. No matter what you are buying, or where you are buying it, if you start with Ibotta, you’ll receive cash back. Ibotta partners with hundreds of CPG brands and has over 75 partners like Uber, Postmates, Drizly, Overstock.com, Walmart.com, and some categories of Amazon. To get started, you need to download the Ibotta app and set up an account. The app is free to download and use on iOS and Android devices. Some of the offers might be for in-store shopping, while others may be for online shopping. New users can receive up to $20 in Welcome Bonuses. Next, start searching for offers for things you were already planning on buying. You might also find offers for products that are new to you and are tempting enough to give them a try. 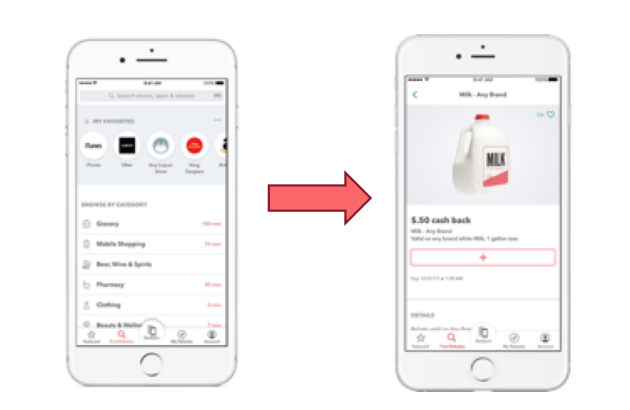 Add the offers you like and plan on using to your Ibotta app before you shop. Now, you are ready to start shopping! You can earn cash back on groceries, things you buy from retail stores, bars, restaurants, and more. Make sure you hang on to your receipt when you are done shopping. The last step is to snap a photo of your receipt with your smartphone and upload it to the Ibotta app so it can be processed. Later on, check your Ibotta account. That is where you can find your cash reward for the specific items you purchased. You can earn extra cash with special bonuses and offers. Ibotta launches new offers each week, plus ongoing partnerships with top brands.